Jackie Chan has sent a message of support to a young Olympian who was forced to pull out of his event in Beijing due to injury. The Hong Kong-based action star – who is currently in Beijing as a special Ambassador for the Olympic Games – was one of millions of people who watched in horror on Monday, August 18, when Chinese athlete Liu Xiang painfully withdrew from the 110 meter hurdle race. And Chan, who is known for his humanitarian work and his desire to help those in need, was quick to comfort the young athlete and the millions of Chinese fans who were crushed by the withdrawal. “Regardless of the fact that Liu Xiang had to withdraw from the race and give up any hope for the gold medal, we must still support him because he’s already proven to us that he has the strength, committment, and talent to be number one,” said Chan. "Even if he’s second or third or last now, we are all still very proud of him. Xiang’s withdraw has been called the “biggest upset of the games for the host country” by the Olympics’ official website. 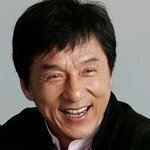 And while most of the world soon forgets the athletes who do not get to stand on the podium, Jackie Chan has reached out in a show of support and comfort to a heartbroken star and his fans. The Games conclude next Sunday, August 24.